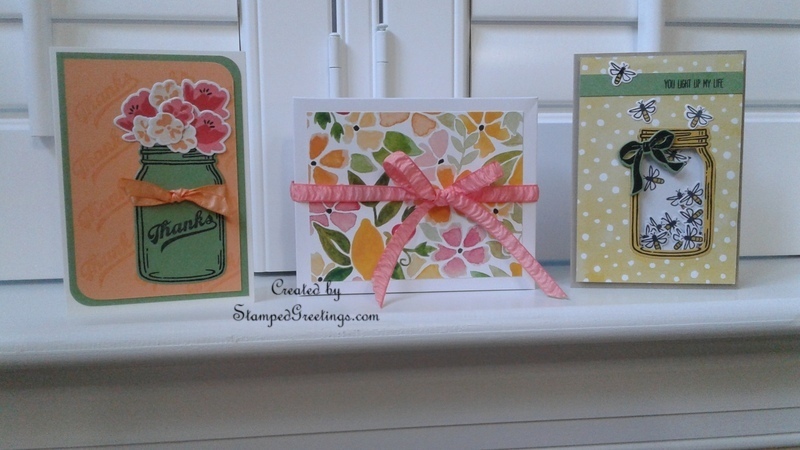 The Jar of Love stamp set and matching Framelits are amazing! Below is a picture of the projects our stamp club made last week. I will post additional pictures for each project with full instructions. Enjoy!